The Sponsorship Committee raises funds from member and non-member organizations to support CREW Boston's mission of advancing women in commercial real estate. CREW Boston strives to provide the highest quality programs and to maximize the benefits to each and every member. Sponsorship is vital to CREW Boston's mission! Committee members help make all of this possible. If you enjoy networking, meeting new people, and engaging in sponsorship support activities, you would enjoy this committee. Sponsorship money is used to provide a number of CREW Boston activities, help reduce membership fees, and support CREW Boston's affiliation with CREW Network. Sponsorship opportunities include Friends of CREW Boston at various levels, as well as Program and Seminar sponsorships. 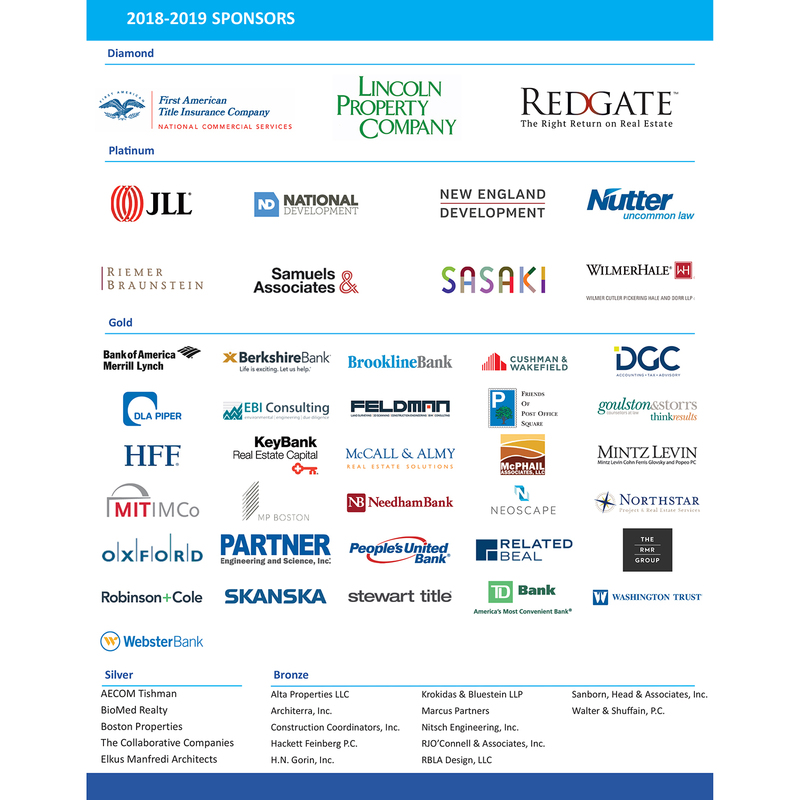 We honor CREW Boston sponsors at the annual meeting and provide continuing recognition of their support at CREW Boston events and in our publications. Click here for information on 2017-2018 Sponsorship Opportunities and Benefits.